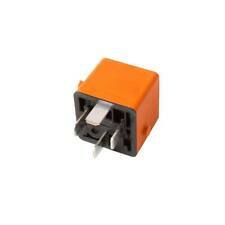 0332019110 - 12V 30A 4 Pin Relay With Bracket & Resistor. Bosch Part Ref: 0332019110. The relay is open circuit at rest and makes the circuit when energised. 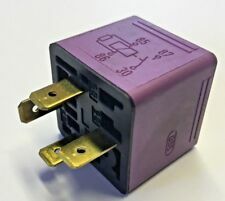 Genuine Bosch 12v 30A relay with shunt resistor and integrated bracket. BOSCH 0250402002 x6 BERU GSE102. Glow Plug Type Pencil-type Glow Plug. Glow Plug Type after-glow capable. Cone Pitch 63. BMW 12 23 7 786 869. BMW 12 21 7 788 327. BMW 12 21 7 801 201. BMW 7 788 327. 90191753 Bitron 38697. BOSCH 0332019150. Vauxhall (Opel) Astra-G and Zafira-A From 1998- 2005. 1 X RADIATOR COOLING FAN RELAY. Bosch Part Number: 0332209136. Genuine Vauxhall Part. 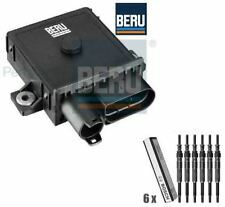 Genuine5 Pin Brown Engine Cooling & AC (Multi-Use Relay). Made in Germany By Bosch. Colour: Brown. Good Working Order. VECTRA-A 1989-1995. Indicator Flasher Unit. Search “Bosch Automotive Catalog”. As a worldwide leading developer and manufacturer of automotive technology, Bosch represents maximum quality and reliability. Any information in the compatibility table is for reference only and there may be unspecified choice options. 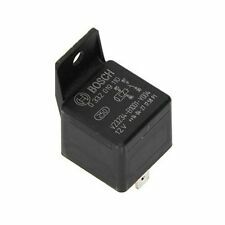 1x Genuine Bosch 0332 019 110 Relay. Built in mounting bracket. Supplied with mounting bracket. 12 Volt 30 Amp. Part Number: 0335323001. NEW GENUINE BOSCH FLASHER UNIT. Part Information Note: The original part box may have been opened to take photos or to. 002 544 55 32. 001 820 47 10. 000 822 13 21. A 002 544 55 32. OEM part no. Liebherr 560 348 108. KHD 01304579. KHD 130 4579. IVECO 1304579. Part number 0332002257 is now superseeded to 0332002258. 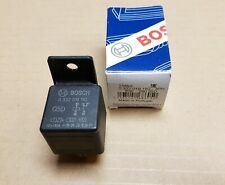 1x Genuine Bosch Relay. Part Number: 0332019213. NEW GENUINE BOSCH RELAY. Rated Current. Note: The original part box may have been opened to take photos or to. Temperature range from. 81 25902 0473. 81 25902 0439. BMW E92 E93 325d,330d,335d Glow Plug Control Relay & Glow Plugs BERU BOSCH. Part Number: 0986332073. NEW GENUINE BOSCH RELAY. Rated Current. Note: The original part box may have been opened to take photos or to. Reference info: Test. 0 986 332 041. Superseded by. General Information. Part Number: 0332019157. NEW GENUINE BOSCH RELAY. Rated Current. Note: The original part box may have been opened to take photos or to. Number of Poles. 346 703 6M1. General Information. with holder. 0332019452 90464759 12V. 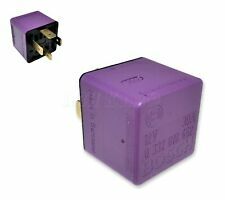 Vauxhall Opel /90-10 Fuel Pump Purple Relay Bosch. 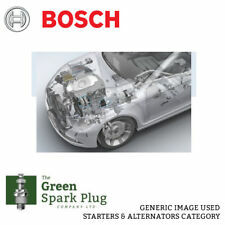 The Bosch starter program comprises starters for. The Green Spark Plug. RRP £ 0.00. Rectifiers, multifunctional regulators, pulleys, solenoid switches, pinion gears, brushholders, etc. Spare Parts for Starters and Alternators. Bosch 0332019452 90464759 12V 30A.